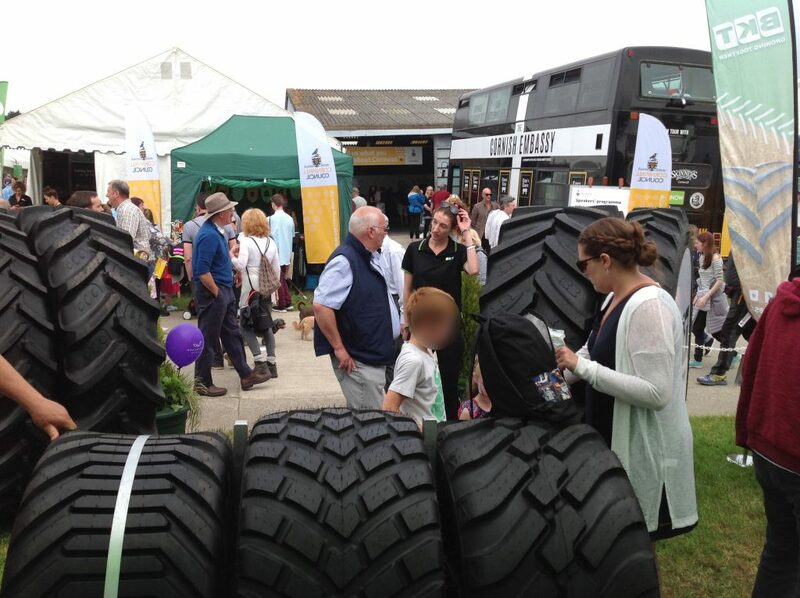 A big thank you to all the customers and visitors who came to our stand at the Royal Cornwall Show at Wadebridge from 7th to 9th June. The Football game “Beat the Goalie” was a great success, particularly with the children and it was fantastic to see them celebrate winning a football. Some came back time and again in their effort to win a football and it was nice those who won more than one give a sister, brother or friend the additional ball. Those who failed in their attempt to win a football received a tyre key ring as consolation and I understand they will decorate many school book bags. In all 460 footballs were won over the 3 days and we estimate it was the result of some 2000 attempts!! 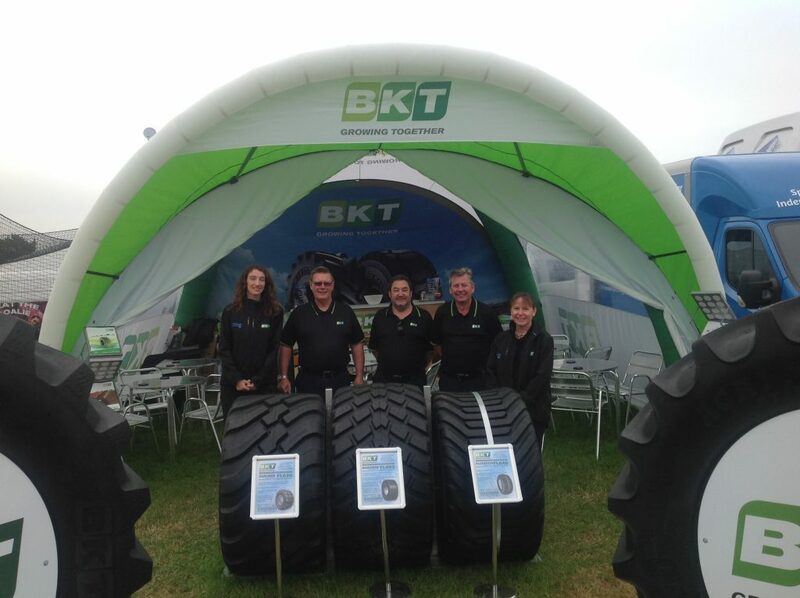 BKT’s full range of products were displayed on the stand including the latest IF & VF technology tyres. 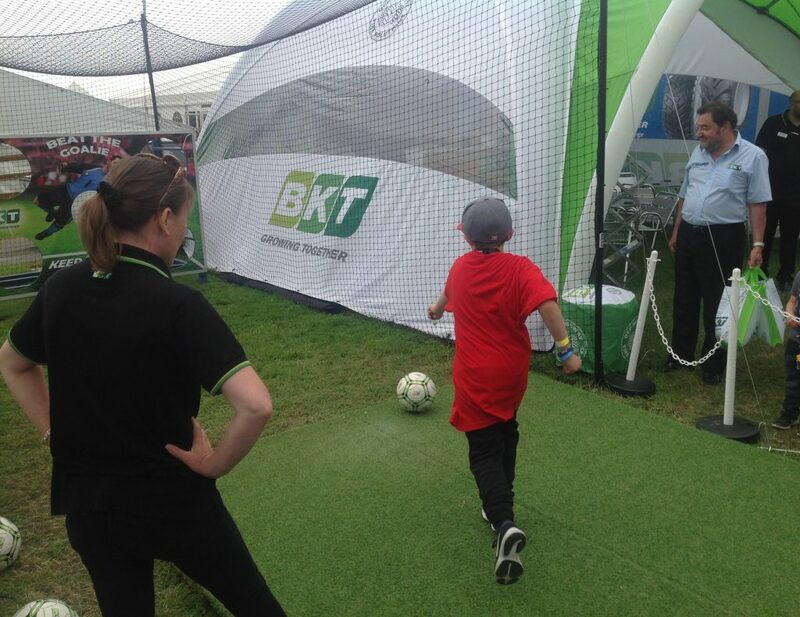 Many farmers visited the stand, of which the vast majority had used the BKT brand and were very pleased with their performance. Product and technical advice was given by the experienced staff on stand duty and appropriate brochures were subsequently taken away. Apart from the many verbal recommendations given, over 50 enquires for BKT tyres were taken. We will work with our tyre distributor partners to hopefully turn these leads in to orders. Once again thank you for visiting our stand and whether it was for technical or product advice, refreshments, football or to shelter from the rain, I trust your experience was helpful or fun.